Whilst talking to Isy, the Press and Communications Manager at Sepsis Trust we came to understand that working at a small, relatively new company like Sepsis has a lot of the same challenges and thrills of a startup. I would say that that’s a good step to make the best of your job, right? To read the rest of our interview with Isy click here. 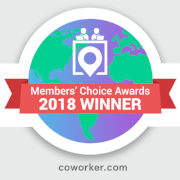 Older PostIS USING COWORKING FOR NETWORKING A REAL THING?